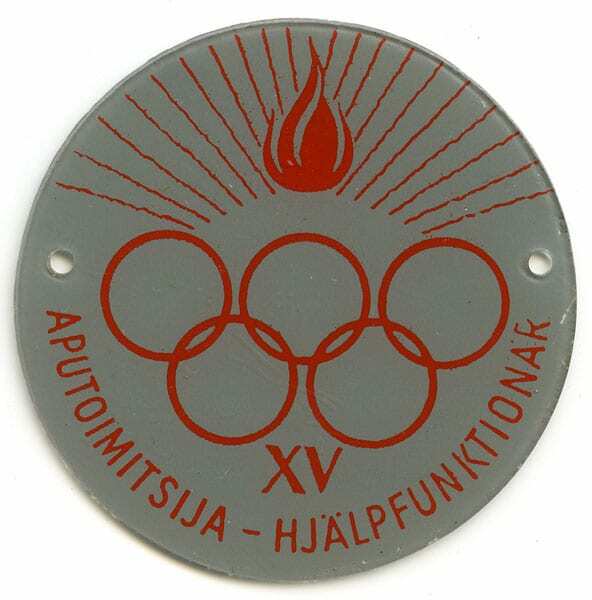 Description: Round plastic badge. On grey field the text in red: APUTOIMITSIJA-HJÄLPFUNKTIONÄR [Assistant official]. The Olympic rings, the Olympic flame and the Roman number XV.